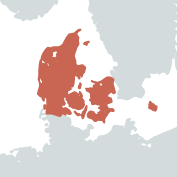 The Nordic country of Denmark is celebrated for its architecture, modern design and extensive coastlines. Copenhagen, the capital, is home to a wealth of art treasures ranging from works by the Renaissance masters to 20th century painting and sculpture. The countryside, meanwhile, hosts a distinguished array of historic houses largely unknown outside Denmark.